Jharkhand NEET Counselling 2018: After the Declaration of Result, And Authority will prepare and release the Merit list on the basis of Cut-off and seat availability. On the basis of the Merit List, Jharkhand NEET Counselling will be conducted. All the Eligible Candidates will get admission into MBBS and BDS courses through the NEET 2018 scorecard. The Courses are offered by various state medical colleges and universities of Jharkhand. 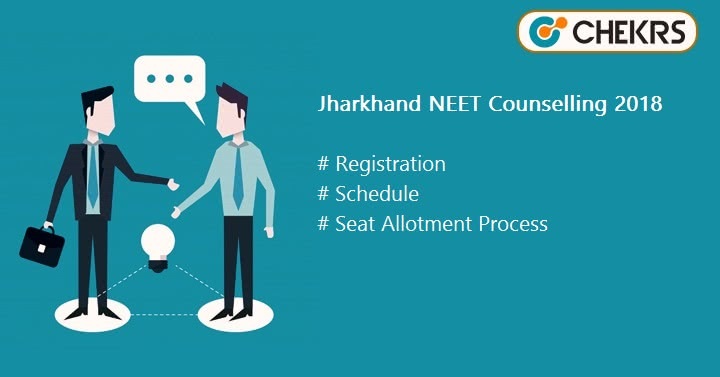 In this Article we are going to share information related to Jharkhand NEET Registration, Procedure, and Schedule of this counselling process. We are providing here Jharkhand NEET or JCECEB NEET Counselling Schedule here. This is based on events which happened in 2017, we will update it after the official announcement. Jharkhand NEET counselling 2018 will be conducted by the Jharkhand Combined Entrance Competitive Examination Board (JCECEB) for 85% quota seats. The Qualified & Eligible Candidates can apply for the Jharkhand NEET Application Form 2018. The Registration form will be available from the 3rd week of July 2018. To participate in counselling procedure, Candidates have to fill the Jharkhand NEET Registration Form. To Fill the Application Form Candidates have to First register them on the official website. After the registration they will be allowed to follow the Jharkhand NEET Counselling procedure. Candidates must fill the Jharkhand NEET 2018 Registration Form and Choice filling form to attend the counselling. Candidates also have to Pay the registration fee through online mode and submit the form. After verification of original documents & fee submission, Seat will be allotted to the candidates on the basis of seat availability, preferred course, and NEET Score. After the seat allotment, candidates have to report at the allotted college admission. After the completion of first round of counselling, the second round of counselling will be conducted. For every new round, A new and separate Merit list will be released. After the seat allotment candidates have to report to the allotted college for final admission. After every Round of Jharkhand NEET 2018 Counselling a Merit list will be released, the Merit List will be based on announced Jharkhand MBBS Cut-Off. Candidates will be called for the counselling according to these Merit List. Candidate can access the Jharkhand NEET Merit List from the official website. Candidates will be called for counselling on the basis of rank, Candidates will get the seat based on their rank, course and seat availability. All these given details are provided here are based on Previous Year’s Jharkhand MBBS/BDS Counselling. I hope you will found enough information here. We will update these details after the Official Announcement.